Stunning Full HD Images. 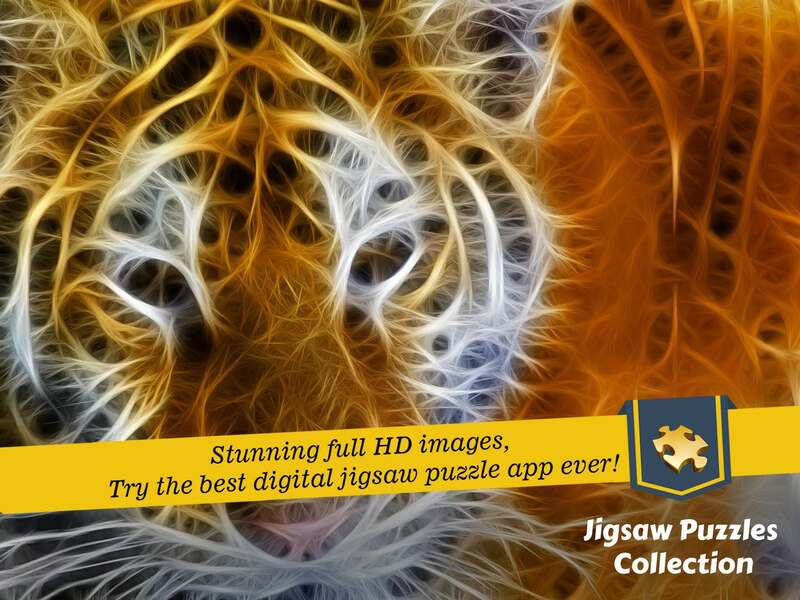 Try the best digital jigsaw puzzle app ever! Enjoy playing "Jigsaw Puzzles collection", the best digital jigsaw puzzles app with stunning full HD images. Jigsaw puzzles collection is compatible with all iOS devices. Login, Sync and make all your devices up-to date with your current progress. Forget about everyday worries and relax your brain while you solve fun and mind challenging puzzles. 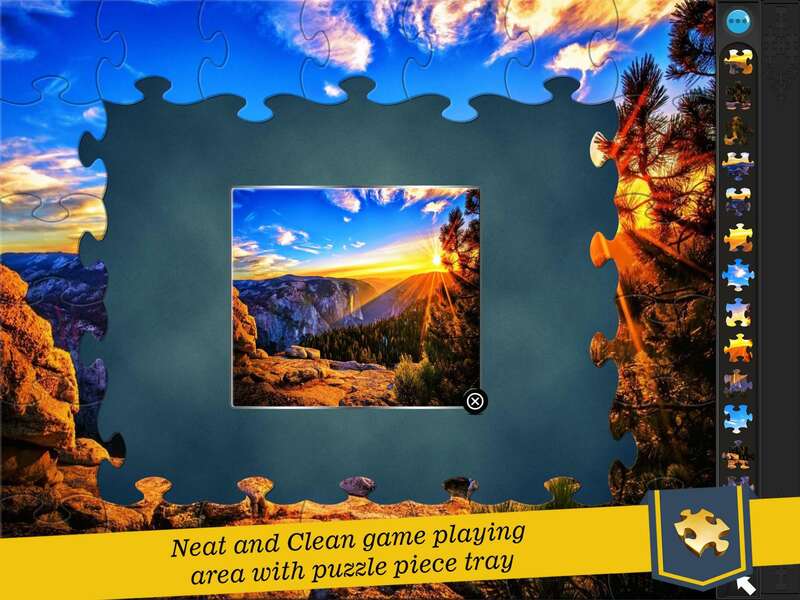 Neat & Clean game playing area with puzzle piece tray! You will also get some optional game powers like Magnet Connect, Square Connect, Row Connect and Column Connect. Create puzzles from your own photos! 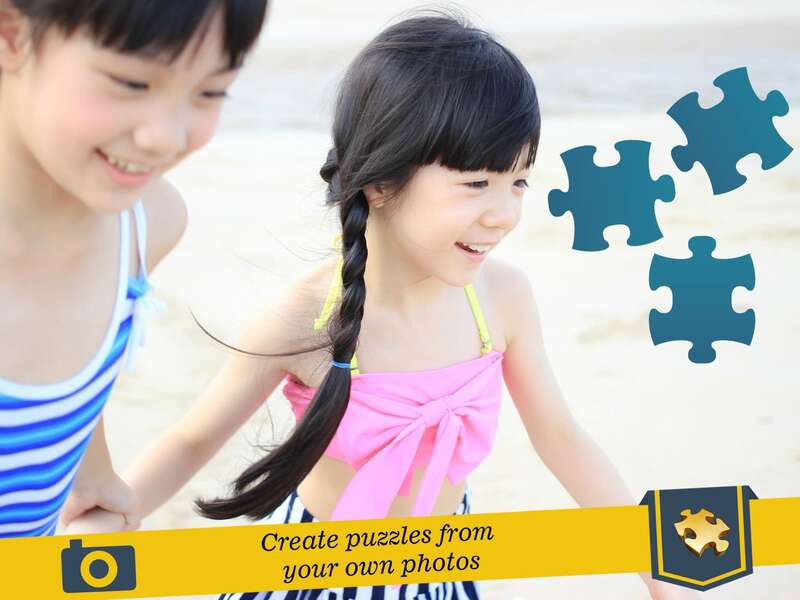 Enjoy and create puzzles from your own photos. Now you don't have to miss fun to convert your own photo into an amazing jigsaw puzzle. Jigsaw puzzles collection is a complete entertainment package for you and your family, Convert your family photo into a jigsaw puzzle game and enjoy it with your family. 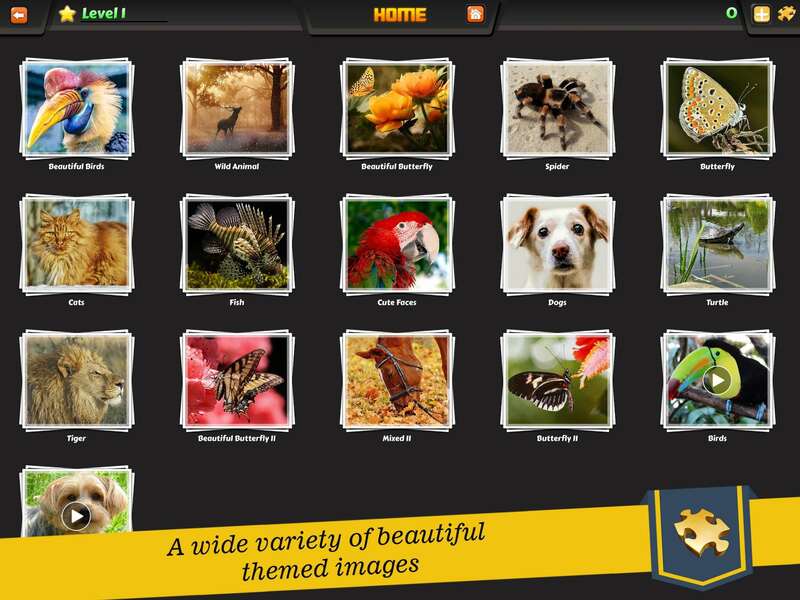 A wide variety of beautiful themed images! Explore the huge collection of beautiful, high quality images. Constantly updated puzzle packs and lots of FREE downloadable content! Visit Puzzle Shop section and have a fun with lots of beautiful images. 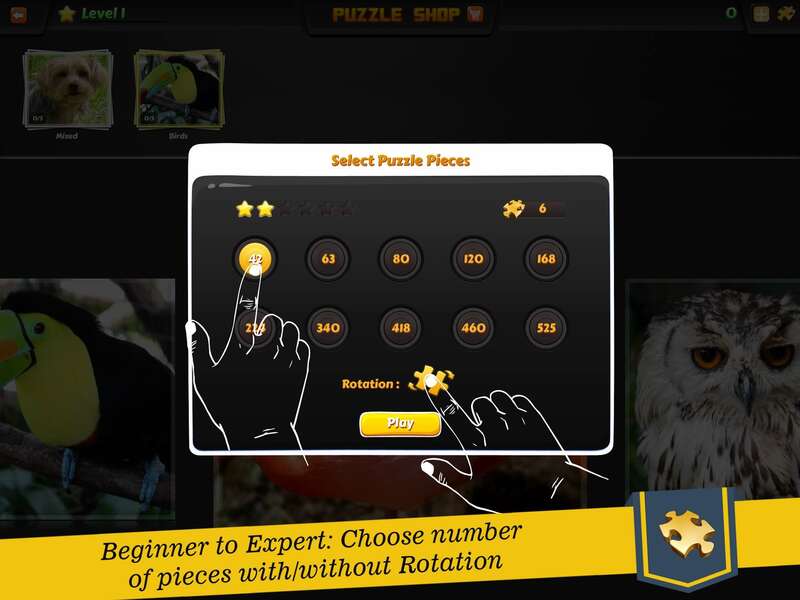 Beginner To Expert: choose number of pieces with or without rotation! Jigsaw Puzzles Collection is great for puzzlers of all ages, it comes with 10 Difficulty Levels (upto 525 Pieces on iPad & 340 pieces on iPhone) and with optional rotation mode to rotate your pieces. © 2015 LitchiGames. All Rights Reserved.